You have a maximum of three attempts at a 2RM for each lift. First attempt should be a guaranteed lift to get on the board. Second lift should be challenging lift but with high percentage chance of making it. Third attempt is go for gold. Think about/check your numbers and turn up to the gym with a warmup plan to hit those numbers. 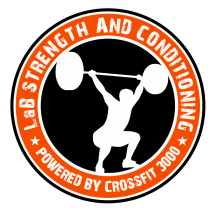 You will have about 5-6 warmup sets before first attempt at Back Squat, 2-3 warmup sets for Press, and 3-4 warmup sets for Deadlift. Managing your time is very important in this workout. You have 20 mins for Back Squat, 10 mins for Press, and 15 minutes for Deadlift.